If you spend much time reading "the blogs," you’ve probably read that rich snippets are an overlooked but essential component of your SEO success. Rich snippets are an effective means of boosting your exposure in the organic search results; an essential SEO element on the rise. Fantastic. That’s great news. But ... what exactly is a rich snippet, anyway? And why are they so important, for ecommerce marketers, in particular? In working with hundreds of ecommerce sites, we know that the use of rich snippets is one of the key differentiators in helping you dominate your market share. In this blog post, we want to examine rich snippets and why they are such a powerful marketing tool for ecommerce sites. First, What Are Rich Snippets? Rich snippets are microdata -- HTML coded bits of information that make it easy for search engine crawlers to comprehend what searchers are inherently capable of inferring from your website without having to click through to the result. When a user reads the meta description accompanying a link in the search results, they can naturally identify things like names, places, products, and more. Things that search engine crawlers, no matter how much they’ve evolved (and they’ve definitely evolved) still can’t quite separate from the other words in a sentence. For an ecommerce website, in particular, Google displays the information available from a webstore’s Merchant Center product feed. This information can display product, price, availability, and product reviews. Let’s look at a SERP for a product-based search that displays a result with both the normal “search snippet” (a meta description) and the “rich snippet” (which features product reviews, stat ratings, the price and how many products are in stock). Notice how the meta data features more intelligent, engaging content that provides better information about the search result. Hence the name, “rich" snippet. Second, How Do You Install Rich Snippets? Add the appropriate microdata -- the stuff that makes rich snippets possible. Again, you can review the different types of microdata to add here. Update your HTML and test the rich snippet using Google's Structured Data Testing Tool to confirm whether you added your microdata correctly so Google can read it, and it can appear in the search results. Why Are Rich Snippets So Great for Ecommerce SEO? The key to SEO is to always remember what Google’s ultimate objective is: to create the best search experience for users, so they can find the best, most relevant results. 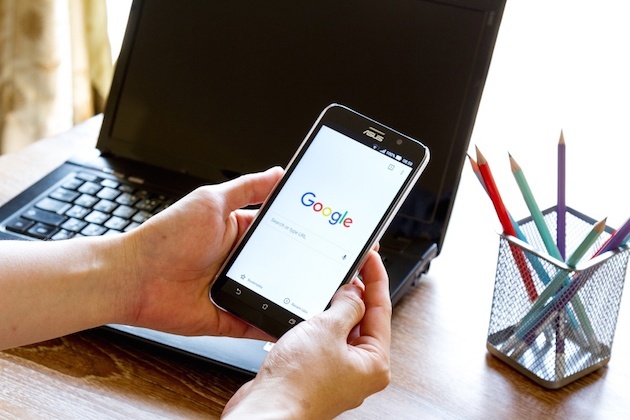 The better Google Search is able to help its users find the best search result before they click through (to ensure that each click is the correct one), the better the experience for their users. Rich snippets are a prime example of Google trying to do precisely this. Consider the example displayed below. 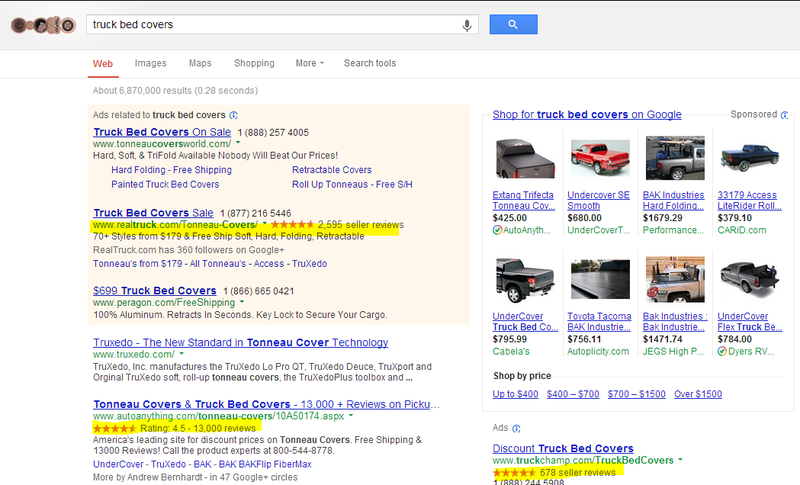 I’ve Googled “truck bed covers,” a popular product search that displays sponsored text ads, product listing ads, and organic results. As a user, you have many results from which to choose. But how do you know you’re selecting the result that you’re truly looking for -- the one that won’t disappoint -- forcing you to go back to Google to search again? The information-rich snippets allow you to be a more informed user and helps you make the right decision, without wasting time. In this case, having terrific product reviews visible in the results offers users a tremendous value proposition, not to mention social proof, so they can click through to the right result for them. Google understands the value of this kind of “sneak preview,” so they’ve engineered their algorithm to reward sites that utilize optimized rich snippets. If all rich snippets did was increase rankings, they’d be well worth implementing. But rich snippets do more than that. They also help you communicate a clear, unique value proposition and establish a competitive advantage. Look at it this way: you want prospective customers to know why your product is superior to your top competitors, right? With rich snippets, you can show customers your product's value right up front. Show searchers your product's price, availability, and what other people think of it. In just one search result, you can powerfully communicate your entire marketing pitch -- giving searchers every reason they need to click through to your site instead of a competitor sitting alongside you in the SERPs. Not only do rich snippets significantly improve clickthrough rates, the traffic you’ll be driving will be more qualified, too. These users are ones who are making an educated decision -- they know your pricing, your product’s availability, and your track record. These users wouldn’t visit your site unless they were serious about making a purchase -- heck, they wouldn't even be searching around such product-specific terms. “Rich snippet”-less search engine visitors, on the other hand, know less about your product and are less likely to make a purchasing decision right then and there. 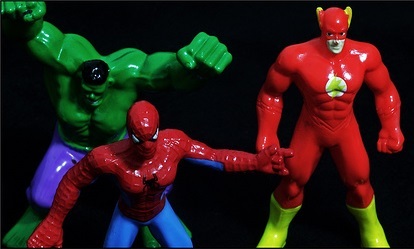 When you’re trying to get your ecommerce site -- and your products in particular -- exposure in organic search results, rich snippets are an essential way to take your ecommerce site’s SEO to the next level, getting you valuable exposure in the SERPs, more qualified traffic, increased conversion rates, and higher returns on investment.